APUS®, based in Waldenburg near Schwäbisch-Hall, produces high-end designer tables made of natural, centuries-old timbers from China. APUS® GbR was established in 2012 at the initiative of the managing directors, Bernd Bauer and Jörg Bauer. The business idea grew out of their cooperation with the Chinese furniture designer Ming, who has been living in Germany since 1988. The valuable raw material for the tables is elm wood from old houses scheduled for demolition in Shanxi Province in the Greater Beijing area and mahogany from all over China. The timber is worked on the spot according to the age-old Chinese art of craftsmanship, transported in individual parts and assembled by specialists in Germany. Upon request APUS® can produce a piece of furniture to match each table, such as benches or occasional tables, kitchen worktops or designer objects made of wood. All pieces of furniture are made-to-measure. Stylistic elements such as carvings that pick up on symbols, signs, writing, images or even company logos, as well as statues or sculptures, make your APUS® a unique piece of furniture. In the same way, you are free to choose a mixture of materials from wood, glass or metal. It doesn’t matter whether it’s a dining table in the kitchen or living area, a meeting place for memorable occasions in the restaurant and hotel trade, a boardroom table or a desk in your office: APUS® stands for lifestyle, design and naturalness and redefines the concept of luxury in modern life. The name APUS® originates from the species of the swift. This migratory bird belongs to the species of nest-builders and flies several thousand kilometres a year. That is why it is also called a “migrant between the continents”. Its Latin name is apus apus. The claim “Living designed by nature” rounds off the word-image mark that symbolizes lifestyle, design, nature and interior decor style. Style and professionalism are his watchwords: Bernd Bauer, a master carpenter and managing director of APUS®, creates values that outlive generations. Living. Naturally. Uniquely. Bernd Bauer established the company APUS® jointly with his son Jörg in 2012. Since 1992 the master carpenter has been a self-employed businessman in Waldenburg near Schwäbisch-Hall and has made a name for himself as an expert on furniture assembly. 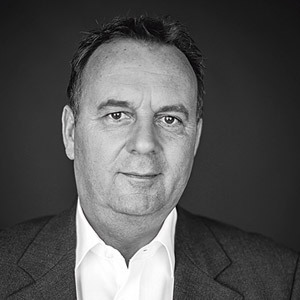 In his position as a managing director of APUS®, Bauer - who was born in 1955 in Eisenberg/Thuringia - is in charge of furniture production and assembly. Time for infinity. Space for oneself. The APUS® sales and marketing manager responds to this new awareness with his products. APUS® means: Succeeding. With no compromises. 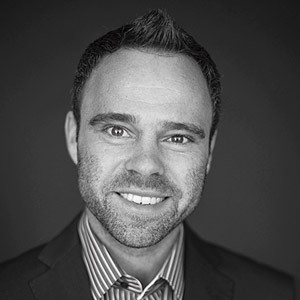 Jörg Bauer, who was born in Zwickau in 1981, is a founder and managing director of the young firm APUS® GbR. After training to be a hotel manager, he worked in advertising and event agencies and accumulated experience of sales and marketing across different sectors. At APUS® he is in charge of sales and marketing.